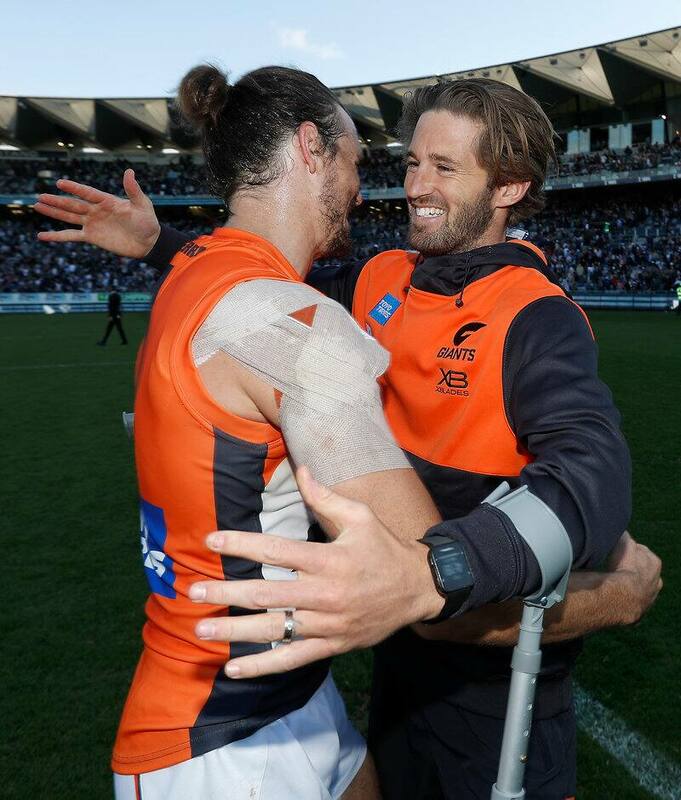 Scans today have confirmed GIANTS co-captain Callan Ward has ruptured his anterior cruciate ligament. The 29-year-old twisted awkwardly in a tackle in the first term of yesterday’s win in Geelong and sat out the rest of the match. The GIANTS medical team will consult with surgeons in the coming days to confirm the next step for Ward and map out a rehabilitation program. GIANTS General Manager Football Wayne Campbell said: “this is obviously devastating news for Callan who is a tremendous leader of our club. “His character and leadership of the club is highly valued and I have no doubt he’ll continue to play a very important role in the coming months.